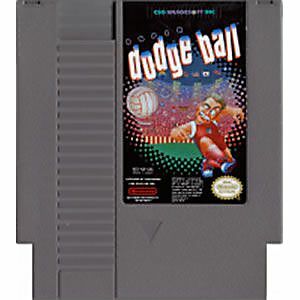 Super Dodge Ball original NES Nintendo Game cartridge only - Cleaned Tested and Guaranteed to Work! Finally i get to own this! Spent tons of time renting this! Fun game to play. 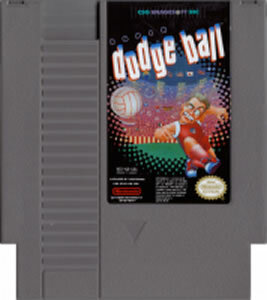 Ive always wanted to buy it, and now I got it :) It does seem to put a heavy load on the NES with all the sprites on the screen at once. They seem to flicker a little when moving around. A fun game to play and came on time thanks Lukie Games. Nice! It's a great game and good work by Lukie Games for shipping. So much fun playing this game. Highly recommended! 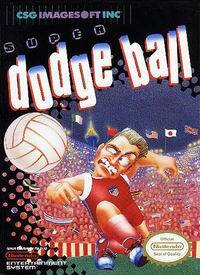 Super Dodge Ball bought back so many wonderfull memories of me and my buddies playing back in the day. I personaly love this game and it work very well I had no troubles with the game and I'm going to continue to purchase more threw Lukie Games.